Paris Hilton has once again managed to get the spotlight. The star has received a lot of attention lately as it seems that she lost her engagement ring. The jewelry costs no less than $2 million. Apparently, it all happened while Paris was partying at a club in Miami. Of course, Paris was very much upset to have lost the special jewelry. Several reports said that Paris lost her engagement ring while dancing in the night club. Page Six reported that as soon as she realized what happened, Paris started to panic. The club was very dark and the star was unable to see her ring. “Paris was dancing with her hands in the air, and the next minute her giant ring had flown off. She was really panicked as the venue was packed and very dark. It was the early hours of the morning and it was crazy in there,” an insider said according to the celebrity site. Luckily for Paris, her fiancé was there and he helped with the search of the special jewelry. It was in fact the star’s fiancé, Chris Zylka, who found the engagement ring in an ice bucket two tables down form where Paris was staying. While Chris was searching for the ring, Paris was waiting in tears, sources claimed. “There was a frantic scramble with everyone looking for it, people were crawling on the floor, under tables, under other people’s feet and under seats. Miraculously they found the ring in an ice bucket two tables down,” an insider said. “It was amazing that they managed to even see that huge diamond in an ice bucket. Paris cried with relief when it was safely back on her finger,” the source concluded. Paris herself later confirmed that the incident took place and said that she was really happy that it all ended well. 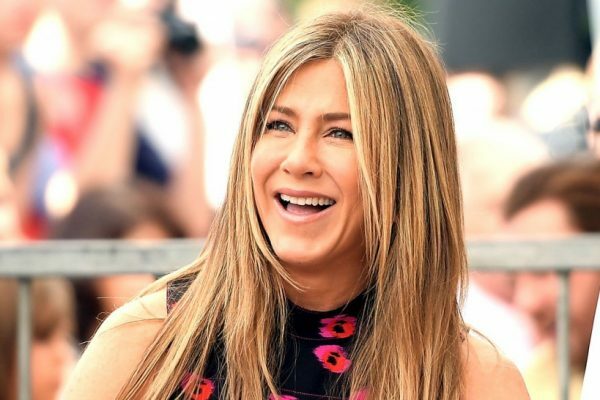 Since her divorce from husband Justin Theroux, some rumors have been claiming that Jennifer Aniston might get back together with her former husband Brad Pitt. And the rumors are still on, with the two being constantly linked. Now, it has been claimed that Brad and Jennifer plan on giving their relationship another try. And apparently, it all started after famous actor George Clooney started encouraging Brad Pitt to reach out to his former wife after her divorce. A source told Star magazine that Jennifer and Brad have been secretly seeing each other. “They’ve been secretly getting together for late night hook ups, and it’s all because of George. George was the first person to call him when his marriage to Angie (Angelina Jolie) imploded. After Jen and Justin Theroux announced their split, he encouraged Brad to reach out and give their relationship another chance,” the source said. Another source talking to Hollywood Life claimed that many people would be happy to see Brad and Jennifer getting back together, including the famous actor’s mother. Apparently, Jane Pitt has always liked Jennifer a lot and she even kept in touch with her after the divorce from her son. “She hated the way things ended between Brad and Jen so it’s a big relief that they‘ve mended fences. She‘s so happy that they‘re back in touch,” the source said. The insider explained that Jane would be very happy to see her son getting back together with the famous actress. “And it’s no secret his mom would be over the moon if they got back together,” the source said. “She thinks the world of Jen and still thinks of her as part of the family,” it added. Of course, there is no confirmation for the moment on these claims, so it remains to be seen if any of these rumors are true. 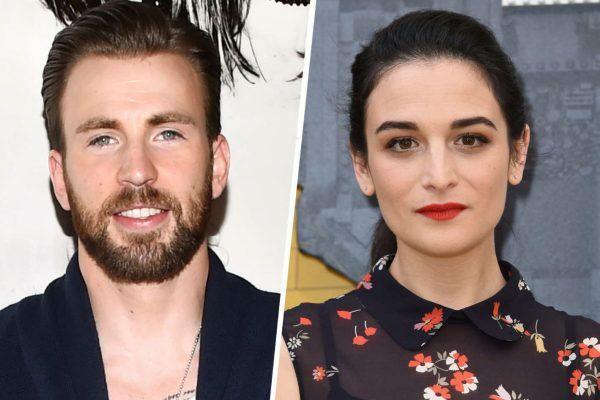 Chris Evans and Jenny Slate are no longer a couple. Apparently, the two stars decided to end things. The news was quite unexpected, as the two stars decided to end their romance about one year after their last reconciliation. However, that is all that has been revealed for the moment, meaning that the two stars have provided absolutely no detail to their reasons to end their romance. The two stars first started dating in June 2016, after meeting on the set of Gifted. However, then, the romance did not last for too long, as they ended things in February 2017. Soon, the pair was seen together once again and they seemed to be enjoying a great time in each other’s company at several occasions. They later confirmed that they decided to reconcile and were trying to make the relationship work. At one point, rumors even claimed that Chris and Jenny were planning on getting married. In fact, it had been claimed that the two were getting along really well and they were enjoying living together in New York. However, it seems that the happiness could not last and now the two are no longer a couple. It appears that Jennifer Aniston and Justin Theroux have not remained friends following their separation. In fact, it has been claimed that they are not even on speaking terms. It appears that the separation has put a lot of distance between the two stars and they are barely speaking to each other. Both Jennifer and Justin have quickly moved on from their divorce and now some reports have claimed that they don’t even speak any longer. Apparently, they are both busy and Jennifer is not having a lot of free time. According to an insider talking to US Weekly, the famous actress “is keeping busy with dinners and social engagements”. It seems that the fact that Jennifer is living in Los Angeles, while Justin in New York has helped the two faster move on from their separation. “Justin is in New York doing the same things he’s been doing for the last few months,” a source said according to E! News. “He gets coffee with friends, works out at his boxing gym and walks his dog. He rides his bike around town and really enjoys his simple way of life in the city. He recently traveled to Paris and London for fashion week but is now back in New York,” the same insider added. The source also said that Jennifer has been spending a lot of time with friends such as Courteney Cox and she is out for dinner as much as possible. It seems that Jennifer is surrounded by supportive people and she is just happy. Khloe Kardashian is expecting her first child with boyfriend Tristan Thompson. The two are set to soon welcome a baby girl and the pair couldn’t be happier. However, it seems that becoming parents is not the only thing that the two are planning for the near future. A new rumor has claimed that Khloe and Tristan are also planning their wedding. And the event is said to be quite impressive, costing no less than $2 million. The wedding is going to be an extravagant event, which is scheduled to take place in 2019. The rumor first emerged with a report from In Touch, which claimed that the pair will most likely have a summer wedding. “Khloe is ready to go all out,” an insider talking to the celebrity site claimed. The same source said that the wedding will be held at a “private state in Bel Air.” Apparently, Khloe will not look at all at money when it comes to her upcoming wedding, and she is ready to spend as much as $2 million for the event. 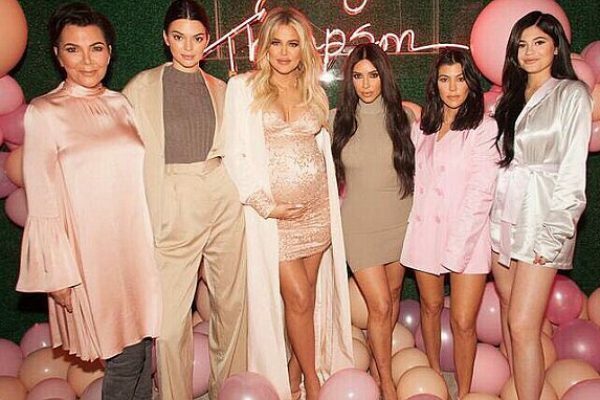 It seems that the rumors about the wedding planning first emerged after Khloe asked her baby shower planner to also help with the wedding planning. And Khloe is not wasting any time, so she already started looking into how she wants the event to look like. “She and Mindi are already going over mood boards and talking about Khloe’s vision,” the insider explained. The report also gave some insights into the number of people who may attend this event. About 150 guests are expected at the wedding. The source claimed that Khloe already knows how her dress will look like, as well. “Something short in champagne or off-white. She wants it to show off her post-baby body. It will be incredible,” the source said. Without a doubt, according to this report, it seems that Khloe knows perfectly well what she wants for her wedding. It is yet to see if the rumors will be confirmed. Selena Gomez, such as many other celebrities, has constantly been in the media attention with her body figure. Now, the star had to deal with some negative comments, saying that Selena has gained some weight. But, it seems that this time, the young singer is willing to not let herself be affected by the bad comments. So, Selena was recently photographed in her bikini as she was on vacation with some friends in Australia. However, soon after the pics were published online, bullies on social media started to comment on Selena’s curvier body. Well, this time Selena did not let herself be affected by the rumors, but she actually posted a video of herself enjoying a great time. Selena has underwent a kidney transplant last summer, and since that moment she wasn’t spotted wearing bikini. However, she now seems to be in a good place, so Selena shared a video of herself enjoying a good time. “The beauty myth- an obsession with physical perfection that traps modern woman in an endless cycle of hopelessness, self consciousness, and self-hatred as she tries to fulfill society’s impossible definition of flawless beauty. I chose to take care of myself because I want to, not to prove anything to anyone. Wind in her sails,” the young star shared on social media along with the video. This is not the first time when Selena has to deal with negative comments saying that she had gained some weight. The star went through the same back in 2015 when she had to deal with some criticism for her bikini photos while being on vacation in Mexico. At that time, Selena seemed more affected by the whole scandal, saying that it was the first time when she was called “fat.” However, she did say that she was happy with herself. 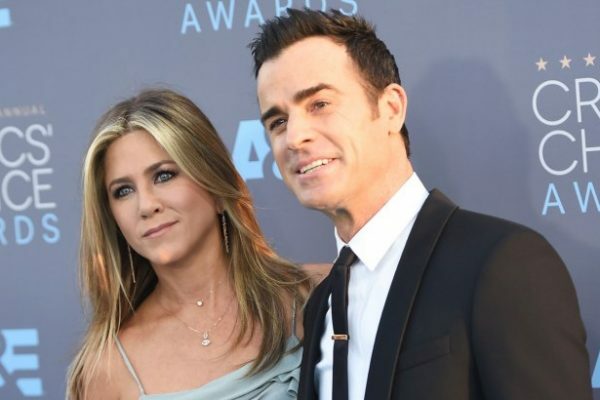 Although Jennifer Aniston has ended her marriage to Justin Theroux, it seems that the famous actress is in a good place right now. Jennifer is apparently happy with the way things have worked after she and Justin separated. So, after the end of her marriage, Jennifer is once again living life as a single woman. A source claimed that the famous actress has managed to deal very well with the separation and she is actually enjoying being single once again. “Jen is in a good place right now and very much satisfied with how things are panning out after her separation with Justin,” the source said according to Hollywood Life. “She likes having the monkey off her back and she is enjoying being single. She loves being able to do her own thing and to only have to report to herself,” the source explained. The fact is that Jennifer has been pretty busy lately, working on two new movies. Both of these movies are expected to be out this year. However, that is not all. Jennifer is allegedly also working on a series for Apple, but the project is in its early stages. So, without a doubt, Jennifer has a lot of things to keep her busy. Kendall Jenner has managed to draw a lot of attention lately. The famous model has been linked to some rumors saying that she was a lesbian. Now, it seems that Kendall has decided to address these rumors in a rare interview. The famous model also talked about her personal life during the interview with Vogue. “I think it’s because I’m not like all my other sisters, who are like, ‘Here’s me and my boyfriend!’ So it was a thing for a minute because no one ever saw me with a guy,” Kendall said during the interview. “I would always go that extra mile to be low-key with guys, sneaking around all the time. You don’t want to, like, look crazy,” the star went on to add. The model went on to address the claims that have been made in the media about her sexuality. Kendall said that she has never had a gay experience. “I don’t think I have a bisexual or gay bone in my body, but I don’t know! Who knows,” she explained. “I’m all down for experience — not against it whatsoever — but I’ve never been there before,” Kendall concluded. However, this does not mean that Kendall was surprised by the rumors that were in the media about her sexuality. In fact, she claimed that she really understands why people have the impression that she is gay and it is because of the energy she gives off. Kendall also explained during the interview that she likes to keep her private life away from the public’s eye. It has been claimed for quite some time now that she is dating NBA star Blake Griffin, a rumor which she never confirmed. However, she did confirm that she is happy and she found someone for her. Ever since the first rumors on Kylie Jenner’s pregnancy emerged, the star has constantly remained in the spotlight. And although Kylie has given birth, some rumors continue to be linked to the star. It has been claimed at one point that Travis Scott, her current boyfriend, was not actually the father of Kylie’s daughter. So, some rumors claimed that Kylie’s former boyfriend, rapper Tyga, was actually the father of the baby. 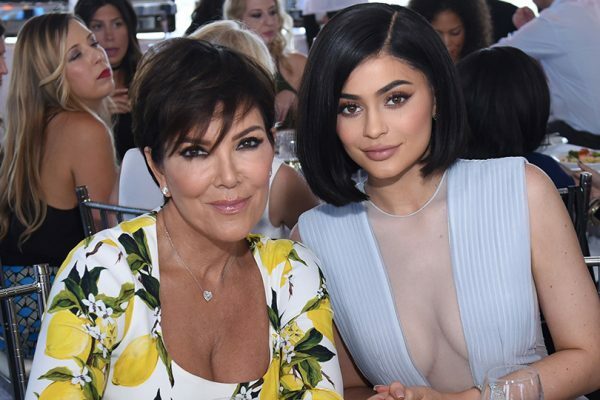 Now, the rumors have been denied by Kylie’s mom, Kris Jenner. Kris has actually laughed off the rumors saying that Tyga was the baby daddy and said that such rumors were just silly. Kris talked about these rumors during an appearance on the radio show “Kyle and Jackie O.” “Oh, no, no, no. I think that was just a bunch of silly rumors as usual,” Kris immediately clarified when the hosts of the radio show asked about Tyga potentially being the real father of the baby. An interesting thing to mention in this context is that the rumors about Tyga being Kylie’s baby daddy first emerged after some alleged comments made by Tyga himself. Apparently, the rapper has claimed that he wanted a paternity test for Kylie’s daughter Stormi. Furthermore, it has been claimed that Tyga has someone close in the family and that person is Scott Disick, the father of Kourtney Kardashian’s three children. The two are no longer a couple. The insider concluded that Tyga still has so strong feelings for Kylie that he just doesn’t want to listen to Scott. Jennifer Lopez is one of the latest stars to share a bad experience from her early days in the movie industry. The star claimed during a recent interview with Harper’s Bazar that a movie director had once asked her to take her shirt off and show her breasts. The star did not reveal the name of the director involved or the name of the movie on which she was working when this had happened. However, she did say that she was scared to talk about what happened to her, as she believed that it might affect her career. “When I did speak up, I was terrified,” she said. “I remember my heart beating out of my chest, thinking, ‘What did I do? This man is hiring me!’ It was one of my first movies,” the star went on to explain. Of course, talking about what happened to her was the right decision and Jennifer said that she did no regret it.